In September 2016, the New York Department of Labor (NYDOL) published a new rule outlining requirements for using direct deposit consent forms and payment via payroll debit card. That rule was scheduled to go into effect March 7, 2017. However, in the weeks before the implementation, the New York State Industrial Board of Appeal invalidated and revoked the rule, leaving the state without any regulations on the use of payroll debit cards. Under the rule, employers would have been subject to additional regulations for how they pay their employees with payroll debit cards. First, employees would have to sign a written notice and consent form and give it to their employer at least seven days before the employer issued the first payment. 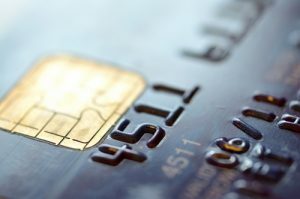 Employers would not be allowed to use these payroll debit cards for paying wages, unless the employee could access at least one ATM that offers no-fee withdrawals and at least one method of withdrawing the full total of wages each period (or the remaining balance) without having to pay a fee. At this point, NYDOL has not announced if it will appeal the board’s decision to revoke the rule, or if it will release adjusted rules that comply with the decision. But for now, employers are not required to abide by any of the rules that would have went into effect in March. Also of note in recent New York wage law was the NYDOL’s decision in February to adopt rules that offer additional guidance on employees’ discussion of wages in the workplace. New York labor law states that employers may not prohibit employees from asking about, disclosing or discussing their wages or the wages of another employee. However, employers can place limits on employees who have access to wage information as part of their primary job function. Under the new rules issued by NYDOL, employers may provide physical or electronic copies of their written policies regarding restrictions on the place, time and manner of these discussions. Employers cannot avail themselves of affirmative defense rules unless they are able to demonstrate their written policy was indeed provided to the affected employees. All limitations discussed in the written guidelines must be legally justified. For more information on recent changes to the state’s wage and labor law and how they could affect how you get paid, speak with an experienced New York employment law attorney at Cilenti & Cooper, PLLC.